Kolkata Baabu Moshayes is one team where the bonding of actors involved is fantastic. Nivedita Basu the team owner always takes out time to meet the actor friends inspite of her busy schedules. 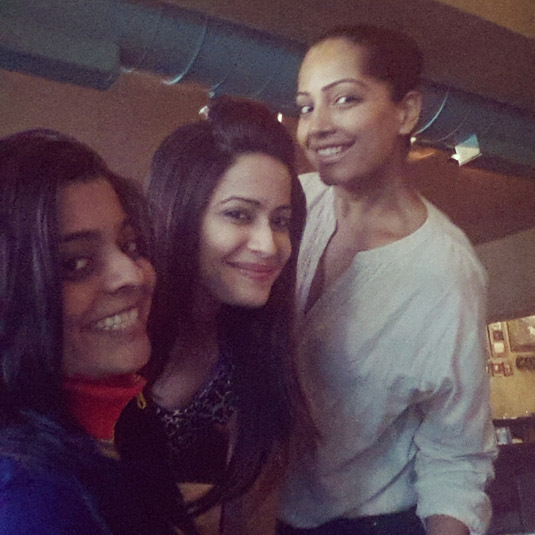 Recently Dimple Jhangiani came up with the idea of going out for a lunch. 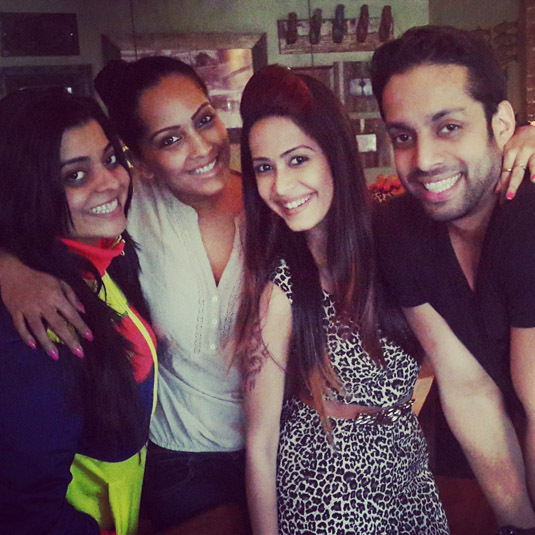 Dimple Jhangiani, Salil Acharya, Meghna Naidu and Nivedita Basu went to Alfredos in Andheri. “ I stay far off. Whenever I come Andheri side I ensure we all meet. Stress free fun, masti and laughter is the mantra of our team”, said Dimple. Meghna added, “To promote the team we went to Kolkata, we went to water park and had parties too. It has been an awesome experience to be part of this team. Nivedita is really sweet she is very good friend of mine. And we all work as a team. It’s like an extended family”. Salil Acharya added, “I love cricket. I take out time for my team. The funny thing is I know Meghna Naidu for ten years but we never interacted much inspite of living in the same building. Being part of team also gave me an opportunity to bond with old television pals”. Nivedita Basu Launches NGO ‘Pehla Kadam – Ekta Kapoor, Vikas Gupta, Zain Imam, Erica Fernandes And More Celebs In Attendance! Barun Sobti, Ridhi Dogra, Eijaz Khan, Nivedita Basu And Gautam Hegde’s Message For Fans To Have A Pet Friendly Diwali!